According to the National Institute of Neurological Disorders and Stroke, there are more than 700,000 strokes in the United States each year. Nearly three-quarters of all strokes occur in seniors aged 65 and older. The risk of having a stroke more than doubles each decade after the age of 55. 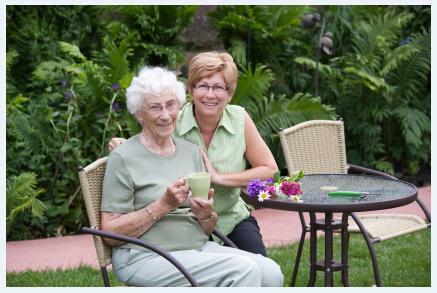 Fortunately, more seniors are able to recuperate at home with the help of a qualified caregiver and homecare system. A stroke occurs when normal blood flow to the brain is disrupted. Brain cells die when they are deprived of oxygen and the nutrients provided by blood. Since stroke injures the brain, the individual having a stroke may not even realize what is happening. For this reason, it is crucial that family members and caregivers know what signs to look for. The sooner the stroke victim can get to a hospital, the better. In treating a stroke, every minute counts. New treatments are available that greatly reduce the damages caused by stroke, but must be delivered immediately. Caregivers should be aware of the following stroke symptoms and review them often using ClearCare’s homecare software. When a stroke patient is no longer acutely ill, physicians, family members and caregivers will want to focus on maximizing the senior’s functional abilities. While rehabilitation may sometimes take place in a hospital or rehab facility, many stroke patients can successfully recover at home with the help of a qualified caregiver and dependable homecare system. A homecare software, such as ClearCare, makes it easy for the care team to coordinate schedules, therapy sessions and doctor appointments. The goal for stroke patients is to improve strength and coordination in order to resume as many pre-stroke activities as possible. While complete recovery to a “normal” state may not be feasible in all cases, many stroke victims are able to lead independent and satisfying lives. ClearCare’s homecare system and homecare software have been developed with this goal in mind. Properly trained caregivers can assess each patient and customize care based on the individual’s abilities, note the progress in their homecare software and keep family members updated. Since stroke patients often succumb to depression, caregivers can watch carefully for signs that the senior is feeling down and act appropriately. Research shows that gradually increasing the stroke victim’s exercise routine can enhance blood flow to the brain and improve the senior’s ability to perform daily tasks. Caregivers can consult their homecare system for exercise suggestions and what activities the senior prefers. A detailed rehabilitation schedule will also be outlined in the caregiver’s homecare software – such as speech therapy and physical therapy treatments. Utilizing a trustworthy homecare system gives caregivers confidence that they are performing every necessary task as instructed by the senior’s physician. This also gives peace of mind to the stroke patient and his family.